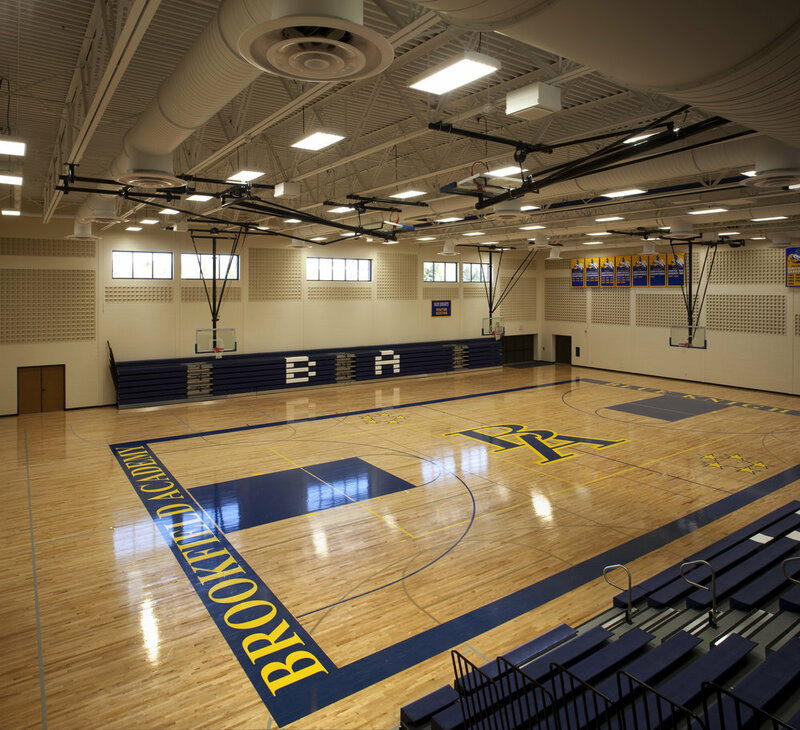 The new high school is the visual center of the campus and incorporates a palette of materials and forms unifying the variety of current building styles while also conforming to the strict design regulations of the City of Brookfield. The new facility named Patriots Hall provides an academic wing wrapped around a day-lit, two-story library, science labs, and flexible classrooms. Other wings house the art department and a performing arts studio. A prominent entry tower welcomes building users into a lobby with skylight and open stairway and a dedicated student locker bank. The two-station gymnasium is served by a variety of locker rooms and storage areas, and has direct connection to the cafeteria/commons which opens onto the landscaped patio at the main entrance.